A challenging, yet playable, par 70 golf course designed by renowned architect, David Rainville. Located near the beautiful wine country of the Southern California Temecula Valley, California Oaks Golf Course is a challenging, yet playable, par 70 golf course designed by renowned architect, David Rainville. With majestic views of the nearby San Jacinto mountain range, California Oaks Golf Course offers golfers a friendly, affordable and quality golf experience. 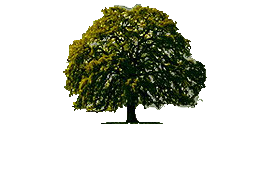 California Oaks provides superb turf conditions and professional service only found at some of the nation’s finest clubs. Dramatic bunkering and undulated greens make California Oaks Golf Course a challenge for all golfers, while providing a fun environment for beginners, juniors, and ladies. The Oaks Bar & Grill features lunch daily. Overlooking the 9th green, it offers views of the golf course and the beautiful Temecula Valley. Wedding, Events, and Tournaments are our specialty. Our affordable banquet prices and our professional serving staff will truly make your experience at California Oaks unforgettable.